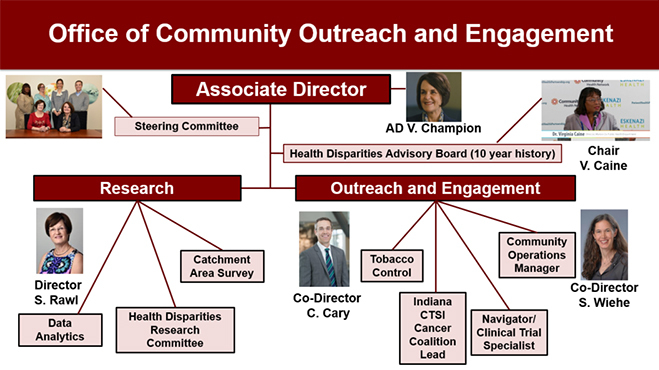 The Office of Community Outreach and Engagement is led by Victoria Champion, Ph.D. 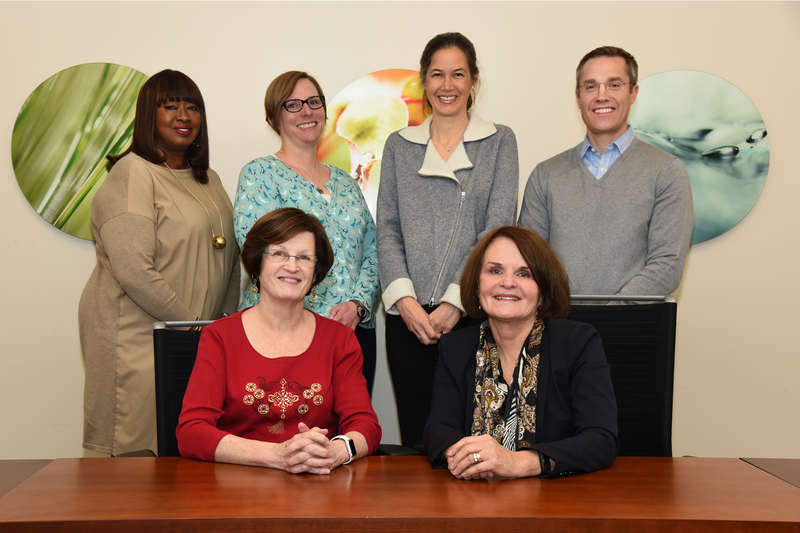 The office is supported by the Health Disparities Advisory Board and a steering committee. Steering committee members, front: Drs. Susan Rawl and Victoria Champion. Back: Rivienne Shedd-Steele and Liza Sumpter and Drs. Sarah Wiehe and Clint Cary.